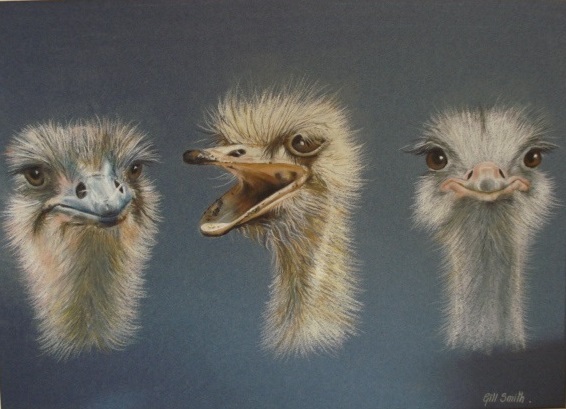 Who could resist these young ostriches. A perfect subject for some fun with pastels ! Original sold but available as a print, please contact me for details.